Securitech’s rock-solid access control exit device & trim packages are designed to stand up to the toughest uses and environments with its easy access control integration systems. ACCED panic door hardware provides complete Code Compliant functionality with free egress and no special knowledge, while securing your facility against unauthorized access. The 24VDC locking solenoid is contained in the outside stainless steel lever trim, while the heavy duty all-stainless exit device contains optional switches such as REX. Trims are available for re-entry (fail safe) and fail secure, as well as with key usage switches and other options. Trims accept standard mortise cylinders, which are anchored into the lever/plate assemblies with Securitech’s patented dual locking calipers to prevent wrenching. No special high in-rush current power supplies are required to energize the trim, and ACCED access control exit device works with any power transfer device or electrified hinges and pivots. 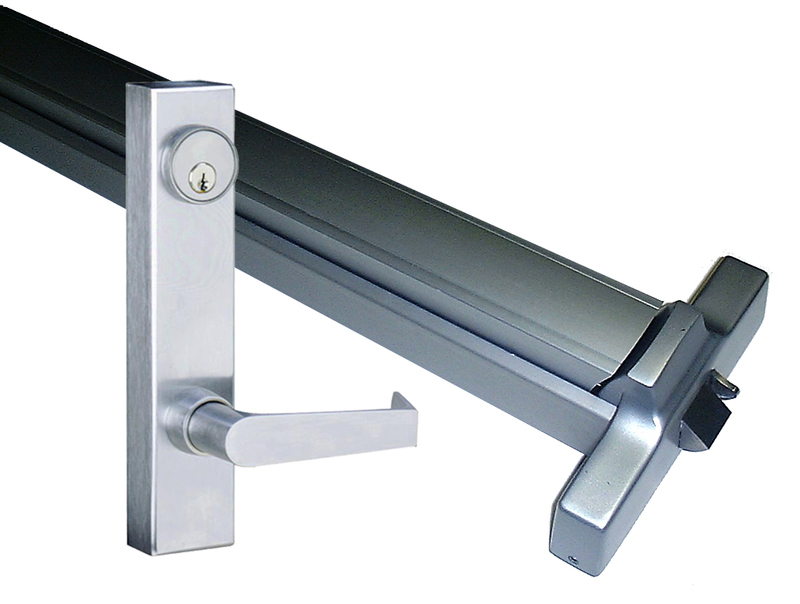 UL Listed as Panic Door Hardware, and Fire rated door hardware models are also available. For use on steel or wood doors, wide-stile aluminum doors, aluminum doors with mid-rails or gates with mounting area. Complete control trim & exit device packages.